The oceans are a bit like giant washing machines, spinning and tumbling billions of objects around, to then fall on the sea bed or be washed up on our shorelines. Some of these objects have travelled thousands of miles, while others have been waiting to be discovered for hundreds, thousands or sometimes millions of years. It was thoroughly interesting trawling through the many articles on objects that have washed up on beaches and shorelines around the world. The list could go on and on, however, I thought that it would be of interest to list those treasures that have washed up on our very own beaches. A couple from Overton, Lancashire discovered a 1.57kg piece of whale vomit, known as ambergris. Many would think to stay well clear, as the smell alone would be off putting. However, those in the know appreciate its value and worth in the perfume industry. While strolling along the beach in Morecombe in April 2016, the couple followed the stench that lead them to the rock like substance that they believed to be the rare and prize like ambergris. It was revealed that this piece was estimated to be worth £50,000, not bad at all for a piece of whale sick! On Tresco beach in Cornwall in November 2015, a piece of the SpaceX Falcon 9 rocket was found washed up on the sand. The rocket had exploded after take-off and travelled across the ocean, some 4,000 miles to arrive at its destination on Tresco beach. On an undisclosed Anglesey beach, over a six-year period. 900 silver pennies have been found. Dates on the pennies range from 1272 – 1307. Dollar cove in Cornwall, is known by this name due to the silver coins from a shipwrecked Spanish galleon that have been known to wash up on its shore. In 2008, tourists and locals in Brighton were surprised to see a huge Lego figure lying in the sand. While on Mersea Island, Essex, in April 2017 a 6-foot-long mammoth tusk was found in the sand. Unearthed by the weather, tides and waves, the mammoth’s tusk is thought to be 14,000 years old. 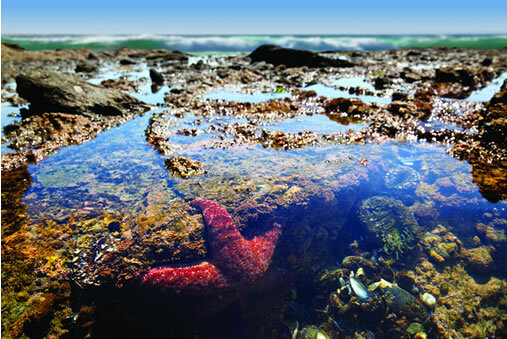 One of the natural treasures of our coastline are rock pools. Occurring when the tide recedes, leaving water, plants and animals trapped until the tide comes in again. There are many things you will expect to see, including starfish, crabs, mussels, gobies and anemones. You may come across some unusual finds too, including sea slugs and snails, sponge crabs, pipefish, sea cucumbers and various jellyfish. Who knows what else you may come across, buried treasure even! 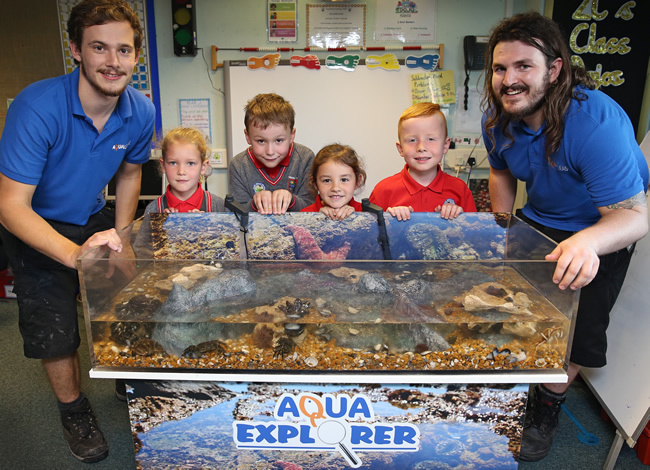 If you would like to experience the excitement of a rock pool in your own educational setting, Aqualease can provide this for half or a full day. Including a range of marine life, native to our British shores, activity booklets and all delivered by our Marine Rangers. For more information, contact Aqualease.